Video caption: We’re marking 6 months to go until the UK leaves the European Union.We’re marking 6 months to go until the UK leaves the European Union. What Brexit questions are people asking in Birmingham? M6 West Midlands northbound severe disruption, from J10 for A454 Wolverhampton to J11 for A460. M6 West Midlands - One lane closed on M6 northbound from J10, A454 (Wolverhampton) to J11, A460 (Cannock), because of a broken down vehicle. M6 West Midlands southbound severe disruption, at J8 for M5 J8. M6 West Midlands - M6 lane closed on exit slip road and queuing traffic southbound at J8 M5 J8. 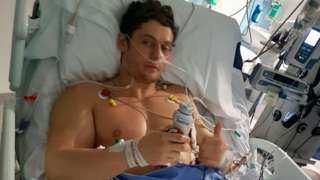 Will Flint was trying to help a woman when he was repeatedly stabbed and left seriously injured. M6 West Midlands southbound severe disruption, at J9 for A461. M6 West Midlands - M6 lane closed on exit slip road and slow traffic southbound at J9, A461 (Wednesbury), because of a broken down vehicle. 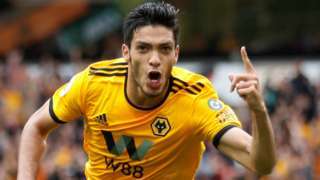 Wolves earn a deserved three points by beating a lacklustre Burnley at Molineux thanks to a Raul Jimenez goal. 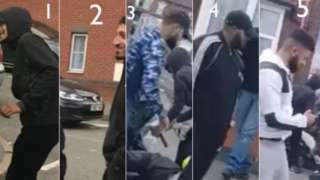 The warden was set upon and had his moped stolen in Alum Rock, Birmingham. M5 West Midlands southbound severe disruption, at J3 for A456 Halesowen. M5 West Midlands - M5 lane closed on exit slip road and slow traffic southbound at J3, A456 (Halesowen), because of a broken down vehicle. M6 West Midlands northbound severe disruption, from J6 for A38 to J7 for A34 Birmingham Road. M6 West Midlands - Hard shoulder closed on M6 northbound from J6 A38(M) Aston Expressway Spaghetti Junction to J7, A34 (Great Barr), because of a broken down vehicle. Traffic is coping well. 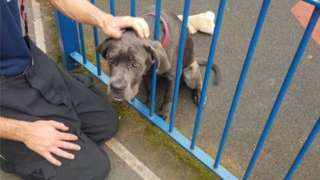 Firefighters rescue the five-month-old pup after its inquisitive nature got it into trouble. M6 West Midlands both ways severe disruption, at J10 for A454 Wolverhampton. M6 West Midlands - M6 entry slip road closed at J10, A454 (Wolverhampton), because of a police incident. Traffic is coping well. M6 West Midlands northbound severe accident, from J9 for A461 to J10 for A454 Wolverhampton. M6 West Midlands - All traffic being temporarily held and an accident on M6 northbound from J9, A461 (Wednesbury) to J10, A454 (Wolverhampton). Traffic is coping well. 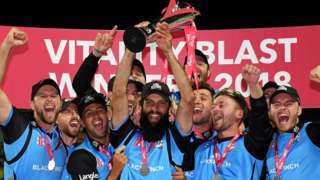 Worcestershire Rapids win their first T20 title beating Sussex Sharks by five wickets in the Blast final. 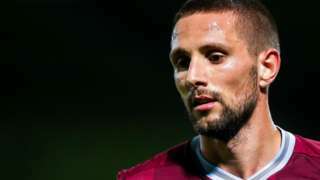 Conor Hourihane's sublime stoppage-time free-kick earns Aston Villa a deserved draw against Blackburn. 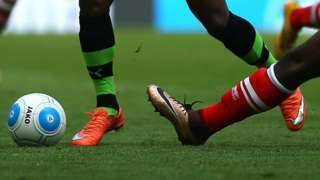 Doncaster come from behind to claim a thumping win at Walsall, emphatically ending the hosts' unbeaten league start. Jermaine Hylton and Danny Wright scored as Solihull Moors make Dover pay for missing several good chances. 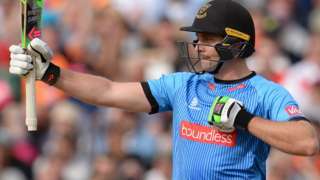 Luke Wright's dazzling 92 takes his Sussex Sharks side to the T20 Blast Final with a 35-run win against Somerset. M6 West Midlands - M6 lane closed on exit slip road southbound at J7, A34 (Great Barr), because of a broken down vehicle.